Henry has been a game farm owner for 10 years and is passionate about the breading of game animals. He is a successful business man and has put all his extra time and funds into the game farm to get it where it is today. 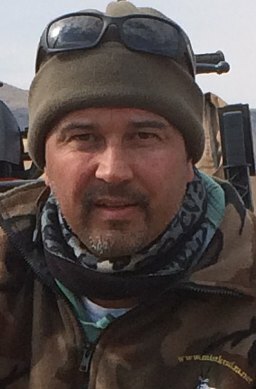 Henry has also been a hunter for 8 years and studied the profession and became a Dedicated Hunter in 2007 and later became a certifide Professional Hunter. Henry is an enthusiastic gun collector and is racking up a good collection. Henry is also an excellent cook and loves to cook traditional South African cuisine. J-P has been interested in wild animals from a young boy and later on whenever he got a chance would go to game reserves. He also read and watched nature programs throughout his life. He has been a keen horseman for 35 years and will be excellent help on a horseback hunt. 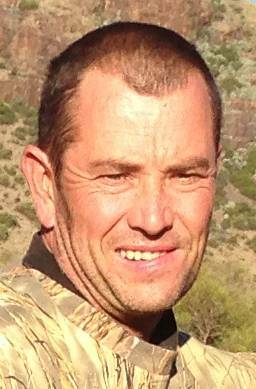 J-P has been involved on the game farm since 2009 and he has loved the hunting profession ever since. J-P also became a Professional Hunter and will strive to make your hunt a successful one. Abraham has been working on this game farm for 8 years and has been working on farms in the area his whole life. 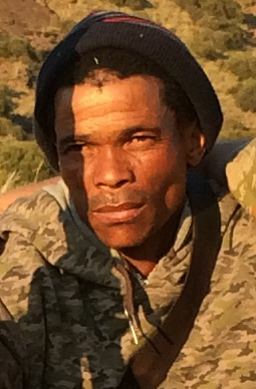 Abraham has worked every day of his working life in the bush hunting in one way or another. Even on his days off I ask where is Abraham and they say he is out in the bush. Abraham has skinned thousands of animals. He is a favourite with the hunters and they always ask for him. He is also good at tracking. He puts in a good effort on a hunt and always goes the extra mile. Caydn completed his Professional Hunting course in October 2014. 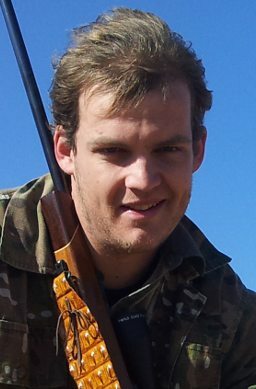 He has been working in the hunting profession part time for a few years and is very passionate about hunting. Caydn would like to go into the hunting profession full time. He has been helping on this farm for 4 months and is keen to learn all he can. He is always willing to help the guests and is very polite. Caydns goal is to become a dangerous 7 game hunter one day. He is currently working for an automation company and studying through the company to become a Millwright. We will all work together to make your stay at Xtreme Safaris a wonderful experiance and one to rememeber for the rest of your life.